Sam Ovraiti was born in Zaria, Nigeria in 1961. He attended the famous Federal Polytechnic in Auchi, and the University of Benin, both in Edo State, where he studied General Art & Painting and obtained a Masters of Fine Art degree respectively. He graduated with Distinctions and won several academic and national prizes including 1st prize winner at the Mobil Producing National Painting Competition. After a short spell as a guitar instructor, he joined the Federal polytechnic, Auchi as a lecturer in painting, drawing and illustration in 1985. He remained there until 1993 by which time he had gained a reputation as the most expressive water colourist in Nigeria. Following his lecturing days, he has been working as a full time professional artist. Sam is a gentle and philosophical soul with a tenderness that cannot easily be described but greatly felt. This perhaps explains his ability to not control the medium he works with but instead to speak the language of the medium, letting the medium dictate the artwork. The result is a purified, beautified reality. This pure and simple reality is dominant in his watercolour works. His works in the oil medium build on this and express a different aspect of his art, one more complex and layered. Sam’s current exploits include the passion series and the fishes of life series. The passion series is an experimentation and report on the activities that people do passionately. These activities honour various African women ceremonies such as marriage and christening. 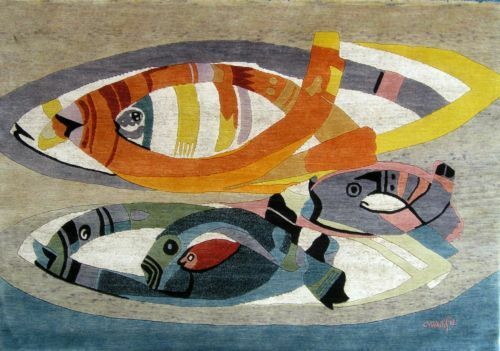 The fishes of life series is based on the fish as a source of inspiration for colour application and exploration of shapes which form a large part of Sam’s art. 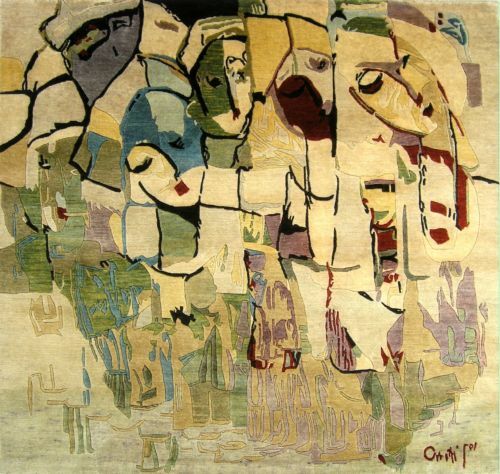 With several solo exhibitions and an extensive number of group shows in Nigeria, Europe and USA, Sam Ovraiti is one of the most accomplished artists of his generation. He lives with his wife Stella and children in Lagos. 1991 Scholarship to Fine Art Students at Auchi Polytechnic by the American Ambassador to Nigeria, Lannon Walker, in special recognition of Sam Ovraiti�s excellence in art. 1976 � 79 Numerous Awards and Fine Art Prizes at Secondary School Level.